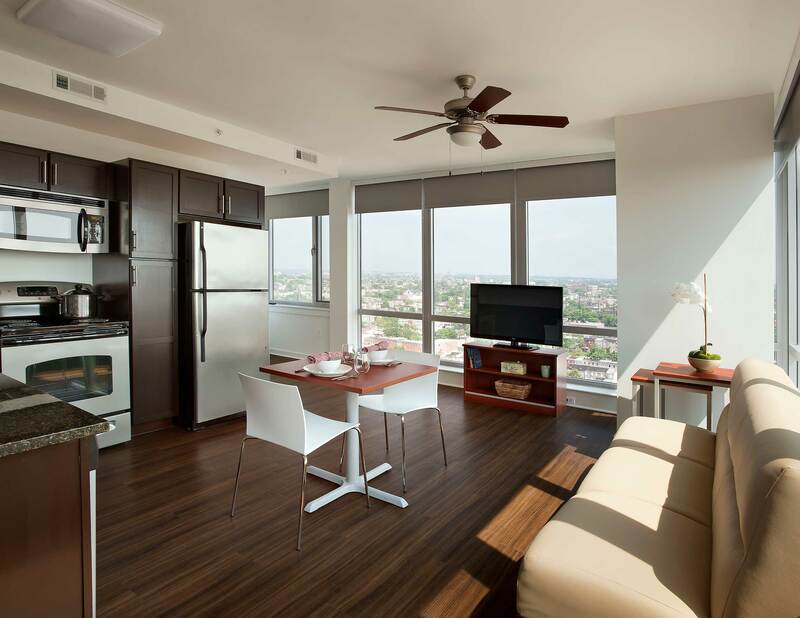 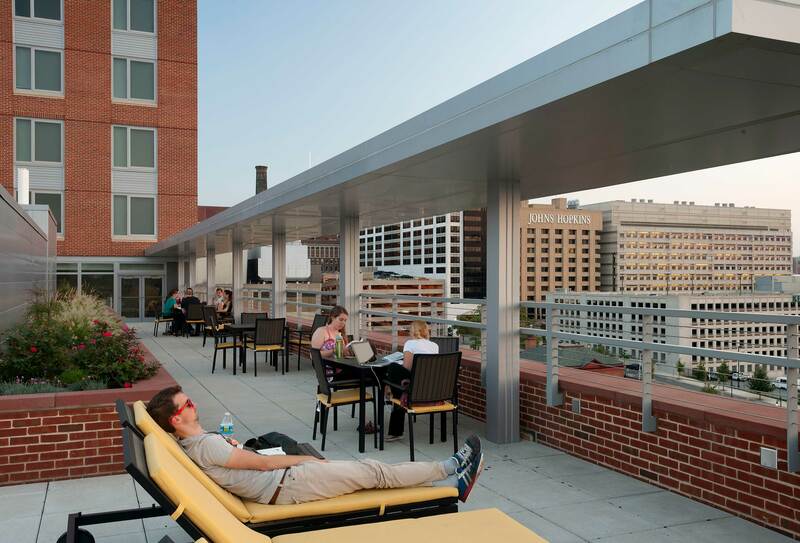 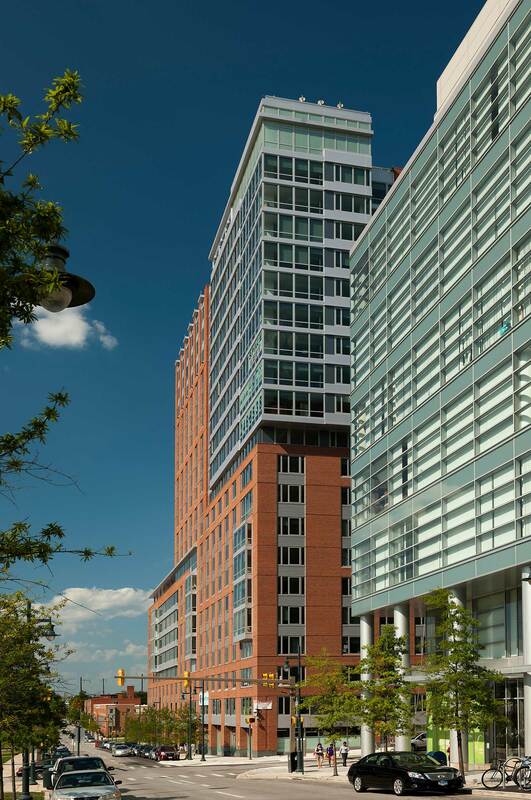 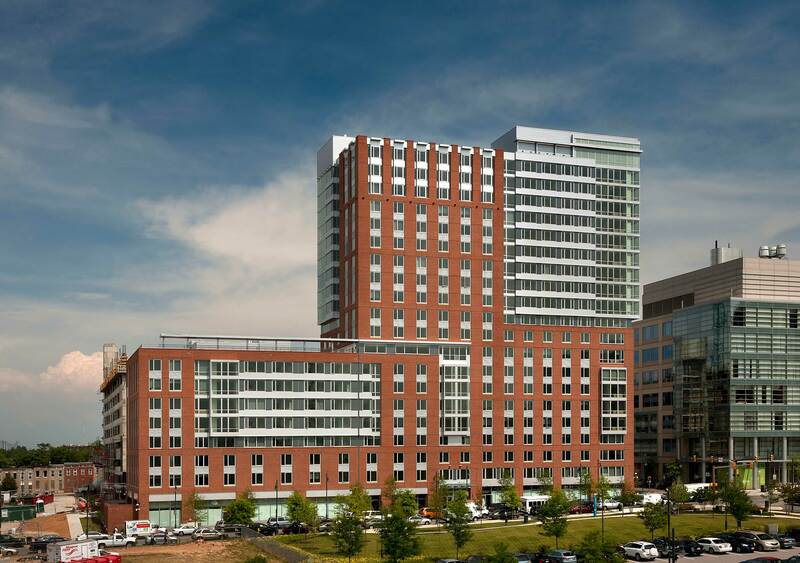 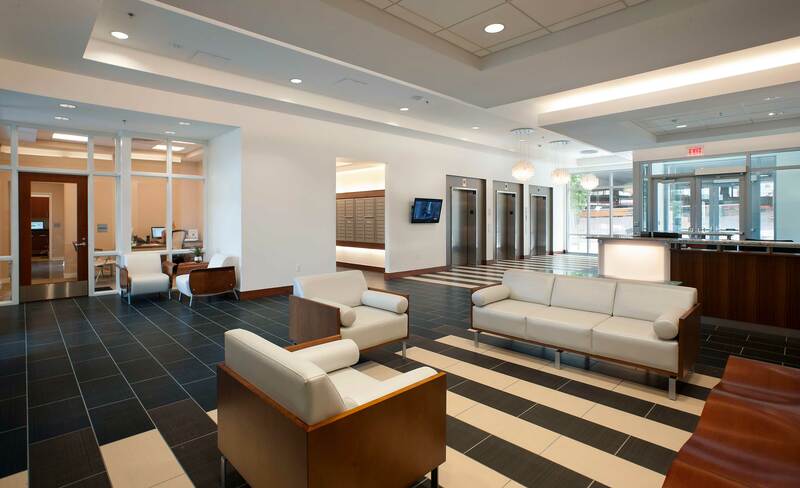 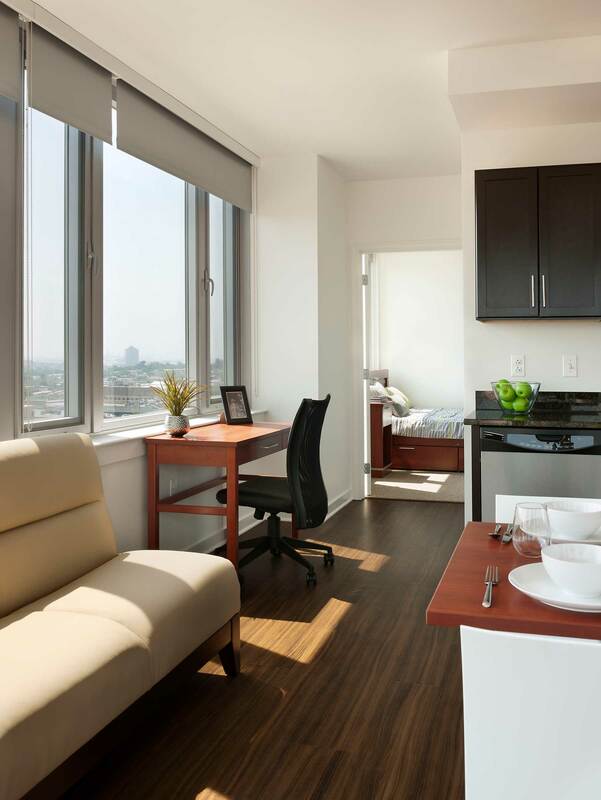 Enhancing the changing lifestyles of graduate students was Education Realty Trust, Inc.’s (EDR’s) goal in developing an iconic tower for Johns Hopkins Medical Institute at the Science + Technology Park in Baltimore, Maryland. 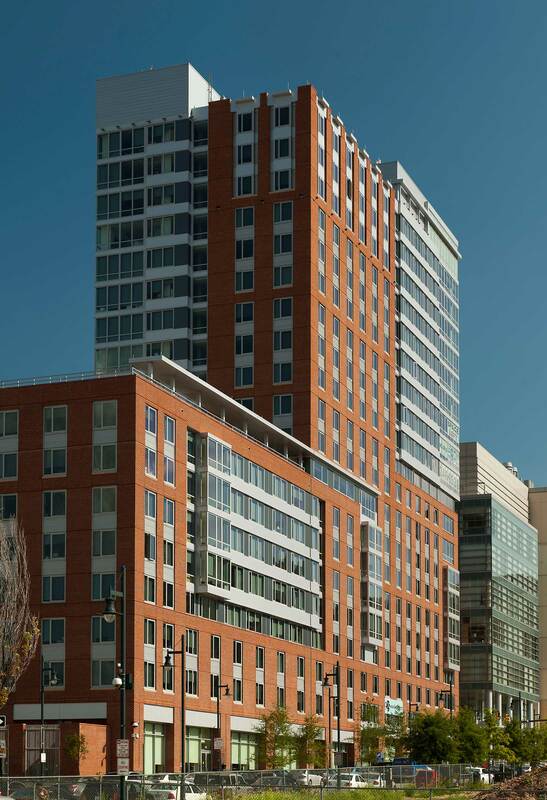 To achieve this goal, the New East Baltimore Partnership selected EDR to work with Forest City and East Baltimore Development, Inc. (EBDI) on developing graduate level housing to support the medical institute. 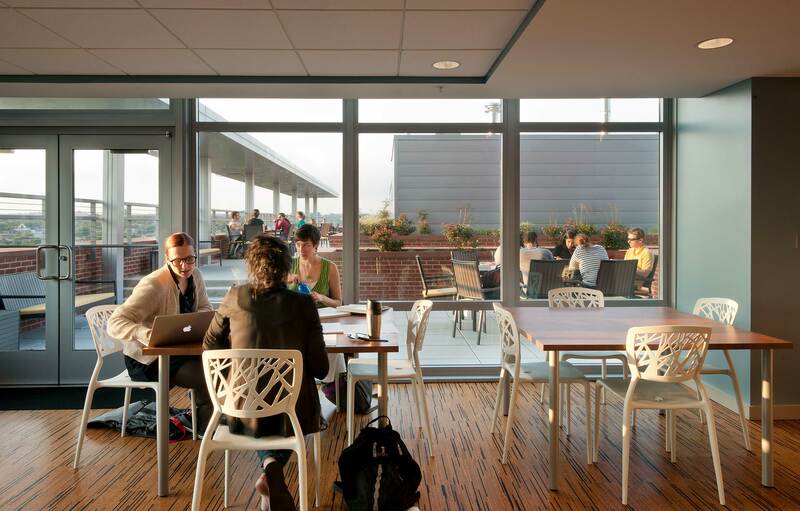 DiMella Shaffer teamed with Marks-Thomas Architects to design this unique LEED Silver residence hall consisting of a studio and one, two and four-bedroom suites complete with fitness center, meeting space, and other support facilities. 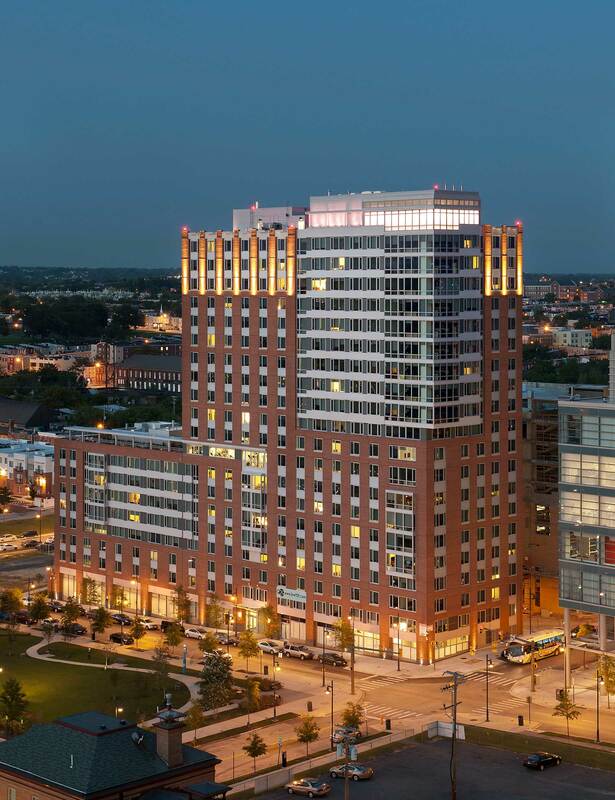 Consistent with the goal of creating a vital urban environment in East Baltimore, the ground floor is populated with street accessed retail and support spaces.